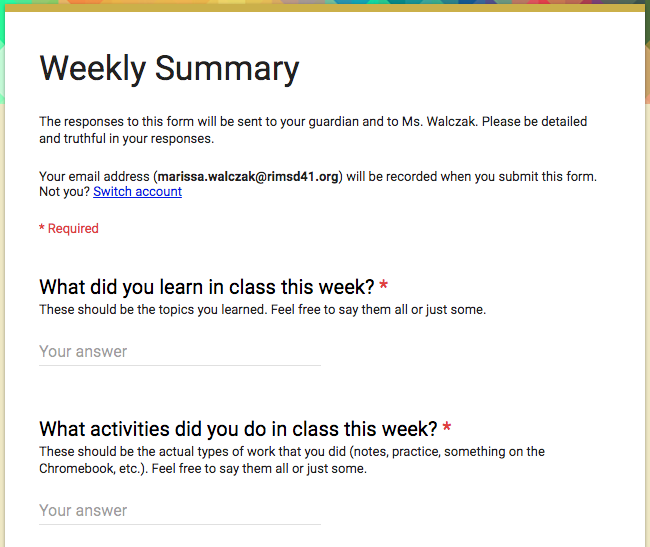 At the beginning of the year, I attached the link to a Parent Survey at the end of my syllabus. That got me a handful of responses. I also sent it out in my first few mass email newsletters. 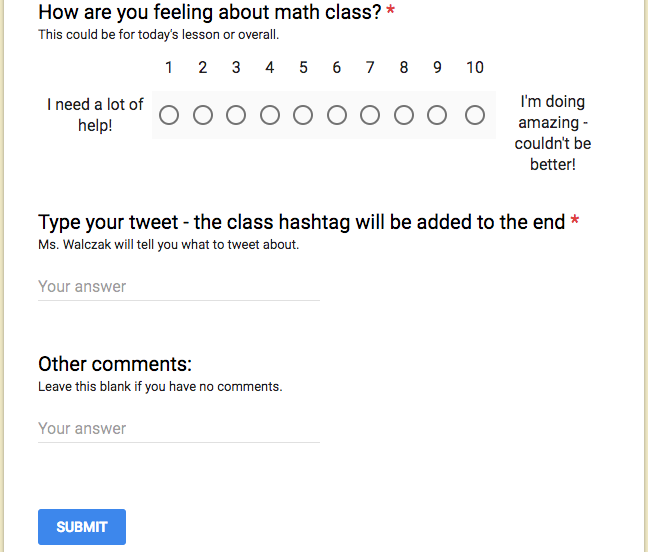 I’ve gotten 14 responses, so a very small portion of my students’ parents. But hey, something is better than nothing, right? 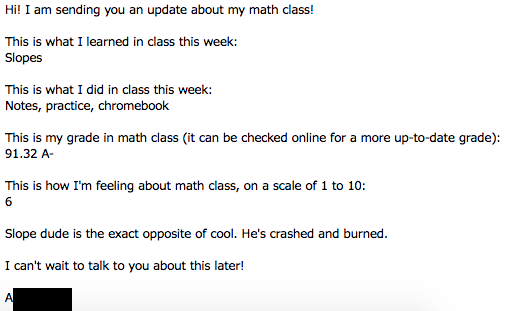 I decided to ask for information about when their learner was successful and not successful, and I’ve gotten some really great insight from that. It helped me see into some of the past experiences that my learners had faced. I was happy to see that all of them could share a time when the learner had academic success. There was also a lot of wincing on my part when I read what some of them went through to give academic difficulty. All of the responses were helpful. I also made sure to put a note about when to contact home in my class roster spreadsheet that I keep. Most of the time it was if the learner was failing, but there have been a few times this semester where I’ve had to contact about a different thing that the parents asked for. Also, the best thing I changed about this survey from last year is that I set it so that I get an email notification every time the survey is completed. That’s helped me keep up with the responses way better. Is there anything I should change about my survey? Je veux communiquer avec tous des parents de mes étudiants. Un jour.